~V~^"AESHl-WAZA are "reversal techniques" employed to counter an attempted throw or pin. Even without actually learning kaeshi-waza, most practition--X X. ers can sense when an opponent is being sloppy in a technique, making it easy to escape. Beginners are sometimes tempted to concentrate only on kaeshi-waza, imagining that such techniques will enable them to free themselves from any hold or pin. 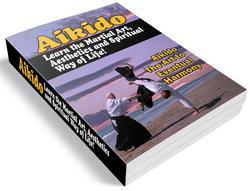 However, placing too great an emphasis on kaeshi-waza can actually impede learners' progress. 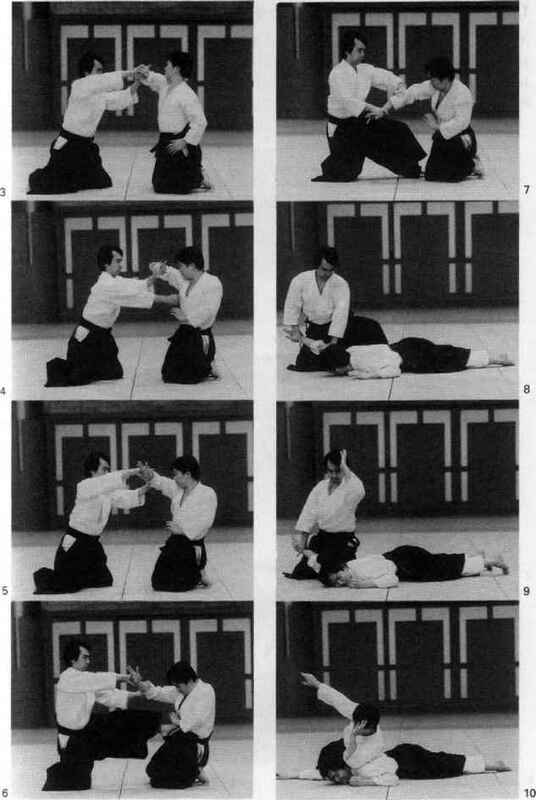 Instead, the following advice should he borne in mind: "Since any technique can be countered with a kaeshi-waza, each technique must be executed with full concentration and careful attention to the smallest details." In fact, key to the proper execution of any technique is the principle of "never being careless." Two uke attempt to apply an ikka-jo pin to torFs arms. 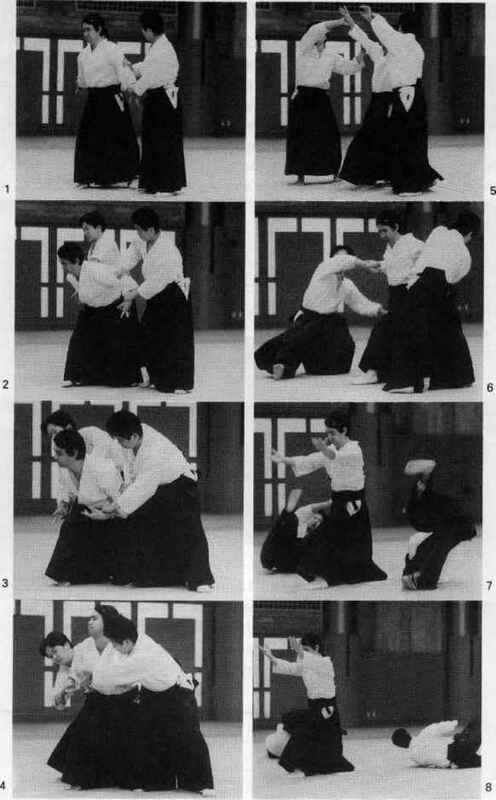 Tori greatly lowers his hips to counter the attempted pin, raises his arms in aiki-age, takes a wide step with his right leg, and throws both uke to the rear.